Other information: Good with children. Let me tell you, surviving winter here in Saskatchewan is no breeze. I know, I’m named Breeze. I was so cold. I desperately went door to door in a east end neighbourhood in Regina, crying to get inside and away from the winter. I am so grateful that RCR picked me up. I cannot express to you how happy I am to be safe and warm. See, I’m a snuggler, not a hustler or street brawler. I prefer the shelter of a human family. I also really like children. They understand my favourite things: friendship and affection. I tell you, a warm home and a forever family are the cure to anything that ails you. Living with me forever will be a breeze. Just imagine my winking my green eye here. 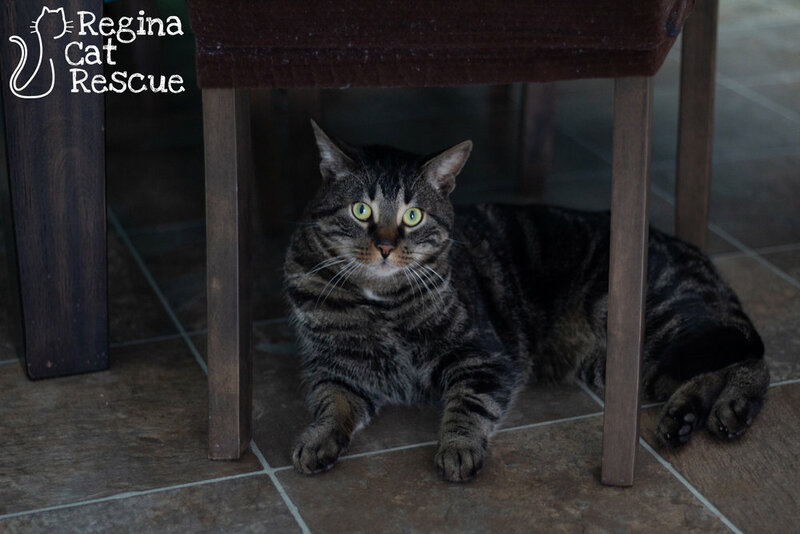 If you are interested in Breeze, click here to view our adoption contract and click here to complete an adoption application or email the RCR Adoption Coordinator at adoptions@reginacatrescue.com for more info.